Palinka is a traditional Hungarian fruit brandy, one of the most famous alcoholic drinks in Hungary. 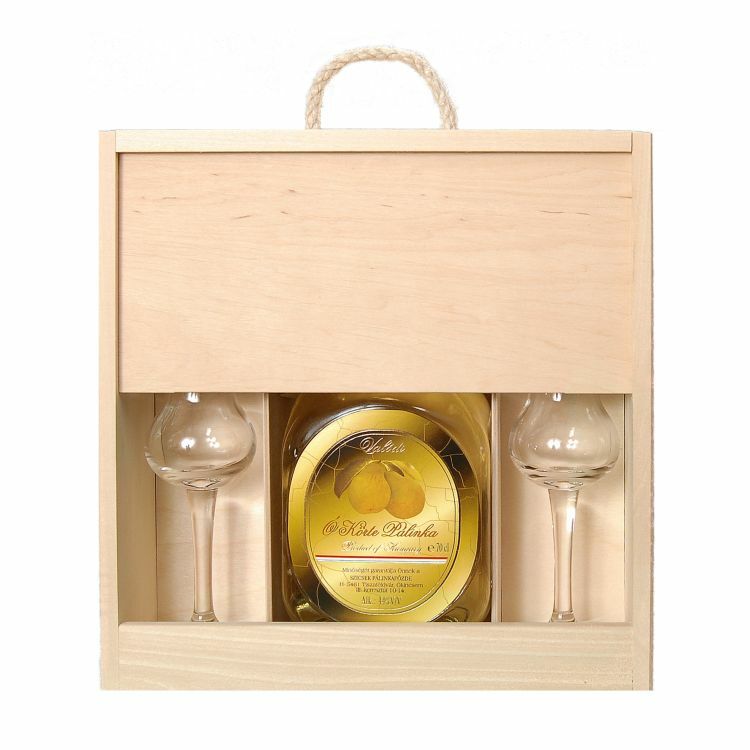 This beautiful wooden gift box contains a bottle of aged Pear Palinka and two tulip shaped glasses. 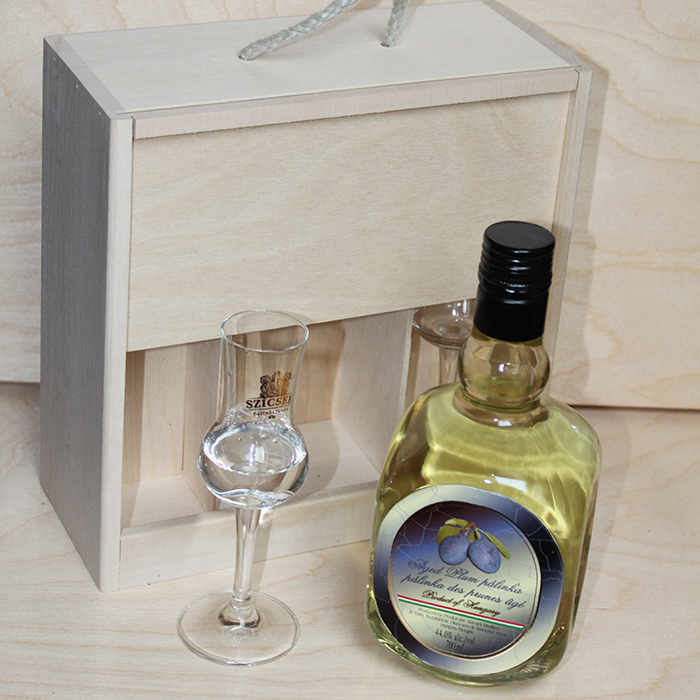 The Palinka has been aged for 3 years in Oak barrels before bottling - the perfectionists drink. Authentic handcrafted using traditional methods that were derived over 200 years ago. 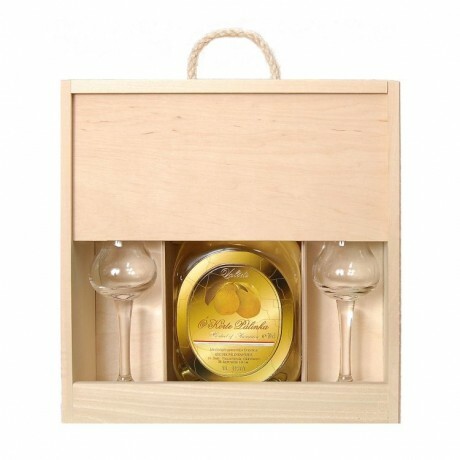 Made from only 100% fruit, with no sugars or aromas added to ensure the finest quality. Perfect for light meals or dessert and cocktails. Makes a wonderful, unique gift. The bottle is 70cl, 44% abv. Distilled fruits and demineralised water.